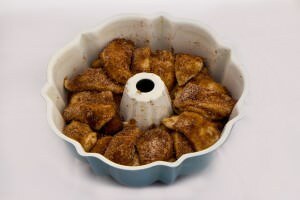 Cinnamon Monkey Bread is a quick, easy, recipe that will fill your home with that irresistible smell. 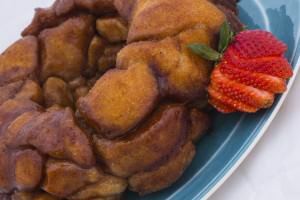 This was a classic recipe in my family growing up with lots of fond memories of me trying to sneak a piece before my brothers and sisters realized what was going on in the kitchen. 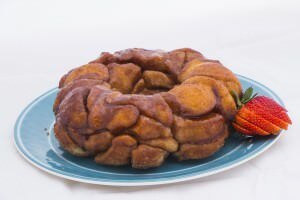 Any pan will do for this recipe – BUT a bunt pan makes the presentation of the monkey bread amazing and boy does it make your mouth really water! This is really simple – Coat the biscuits in butter, then dip in cinnamon-sugar, and then layer them into the pan. Easy! Be sure to overlap each layer so the yummy melted sugar mixture can seep in between the different layers. 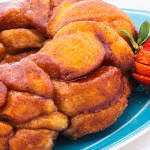 When the Cinnamon Monkey Bread comes out of the oven your home will smell wonderful. The bread will look stunning. And it will taste just as good as it looks – at least until you pull out that first bite. 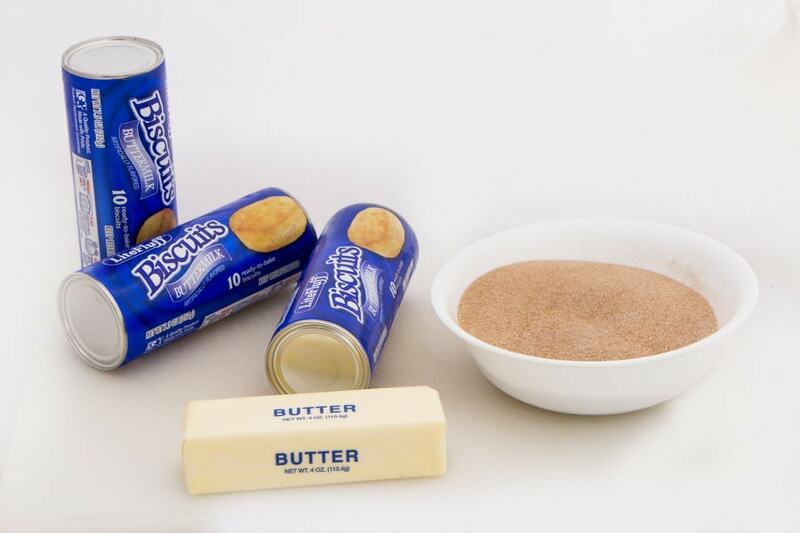 Open pop bisucits and dip each biscuit (front and back) in melted butter and then dip in sugar mixture. Place in bunt pan forming a ring in the bottom of the pan. Overlap the second and remaining layers. Bake for 35 - 40 minutes. I like to poke a knife into the center to make sure it's done. Sometimes it needs a few minutes more or less.